H450 mugs fired at cone 10R with pure Alberta Slip on the outsides, G1947U transparent (left) and pure Ravenscrag Slip on the insides. By Tony Hansen. The process of creating high temperature pottery is generally the easiest and most trouble-free of any range and typically produces the hardest and strongest fired products (although this is not always the case). Since less flux is needed in the body recipe, the recipes of these materials have greater amounts of plastic materials; the bodies thus have the potential for better workability than other ranges. Plainsman has a unique suite of raw materials that we mine from quarries across the prairies. Most vitrify in the cone 8-12 range and thus lend themselves very well to the production of buff and dark bodies that mature around cone 9-10. Generally this can be done without the addition any raw feldspar or silica. As noted, bodies of best plasticity and workability are found in this range. Most of our high temperature bodies are made from 100% native materials and they showcase the best aspects of clay materials that mother nature has blessed the Canadian prairies with. However, remember that while plastic clays form and throw better, they also have the potential to crack more during drying (most customers who experience these problems have them with these bodies). When drying ware, always think in terms of drying evenly (not just slowly). Cover ware with a cloth, turn open pieces over, etc., do whatever you need to do so that at no point in the drying process will the water content in different parts of an object will be different. Thus, if you can discover a way to dry evenly and quickly, you will be successful. Conversely, if you have discovered a way to dry slowly and unevenly you will fail. There tends to be a 'mistique' around high temperature firing that stems from the fact that the atmosphere in fuel burning kilns tends to produce less consistent results from firing to firing and there are more 'surprises'. In addition the 'earthy' and 'metallic' effects seem to come more naturally in such kilns. Still, much of the ware being produced can be made in medium and low fire (fuel or electric) in a much more economical way without sacrificing too much strength. In fact, in some cases (i.e. iron stoneware) lower temperature vitrified bodies are stronger. Admittedly however, the lower you fire the more expertise is required to make glazes that do not craze. High temperature firing is generally more suitable for the production of ovenware and other items that must withstand thermal shock. Firings can be tailored to reduce certain mineral phases that have high expansion properties and glazes can be fitted and interfaced better. Compared to other temperature ranges, cone 10 is very 'glaze friendly'. The high heat available will melt many more ceramic minerals and thus not as much flux is needed. This means that glazes can be made totally from raw unfritted and inexpensive common materials, in fact it is quite possible that a mix of the rocks and clay in your own yard will melt into a cone 10 glaze. In addition glazes fire harder, develop a good interface with the body, are much easier to fit to clay bodies, and soften and melt over a wider range of temperatures. Raw glaze properties are better also since more kaolin and other high-melting clays can be employed to harden the dry glaze layer and suspend the slurry. As noted, reduction firing is common at high temperatures, and is used mainly to bring out the earth tone colors of iron or the reds of copper. Most glaze bases however will fire well in either atmosphere. Note that high temperature metallic stained glazes generally do not burn to the same bright colors that can be achieved in the lower ranges. Since much functional ware is fired at high temperatures, it is important that your glazes fit your clay body, from a ware strength, aesthetics, safety, and functional point of view. Do not make the mistake of judging your glaze as fitting because there are no visible signs of trouble. A simple boiling water:ice water cycle test is suitable to bring out most crazing or shivering (you can find information in the Tests section at the Digitalfire Reference Library). If you need help to match a glaze and clay or strengthen your ware (doubling the strength is not unusual with a well fitted glaze replacing a poorly fit one). We can supply information and tools to adjust your own glazes. We do not recommend that you have more than two or three base glazes. It is better (and cheaper) to understand how to adjust one glaze to vary its color, surface, expansion, character, etc. than to have twenty recipes that you cannot control. It is better to understand how to adjust one base glaze to vary its color, surface, expansion, character, etc. than to have twenty recipes that you do not understand and cannot control. 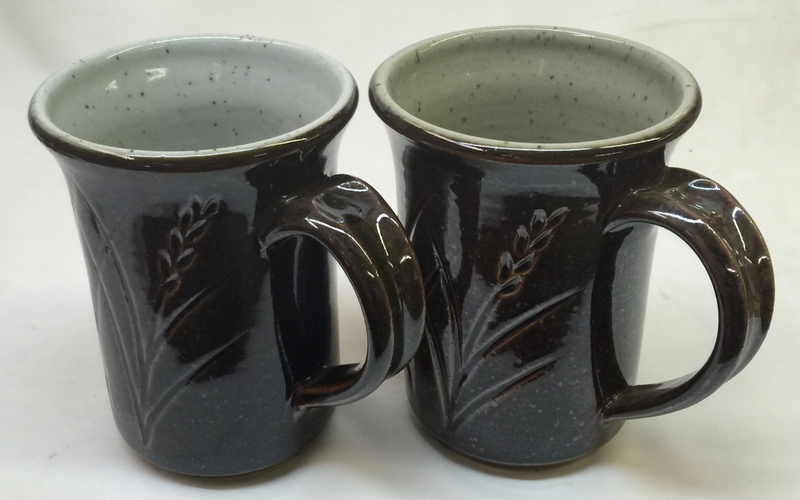 Visit the glazes page on this site (or the ones at http://albertaslip.com or http://ravenscrag.com). Check this page for information about the base-glaze approach.